Massachusetts knows mollusks. And while it’s easy enough to find killer raw bars in just about every neighborhood within city limits, nothing beats feasting on your own catch. Now that the dog days of summer—and clamming season—are here, it’s time to head for the shore and take a shot at harvesting your own delicious bounty. Ahead, a primer on the tasty critters you might dig up. If you like ’em raw, set your sights on these. Serve on the half shell with lemon juice and cocktail sauce—just be sure to rinse them thoroughly first. Unlike quahogs, steamers are soft-shelled. You’ll want to exercise a bit of caution as you plunge your rake into the sand to avoid cracking them. Larger than littlenecks and smaller than quahogs, cherrystones are particularly delicious when grilled and drizzled with garlic butter. Sign up for a free clamming class offered by the Barnstable Association for Recreational Shellfishing. 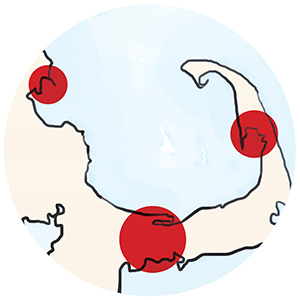 When you’re ready to strike out on your own, check the town’s website for up-to-date GIS maps of clamming hot spots. Timing is everything. 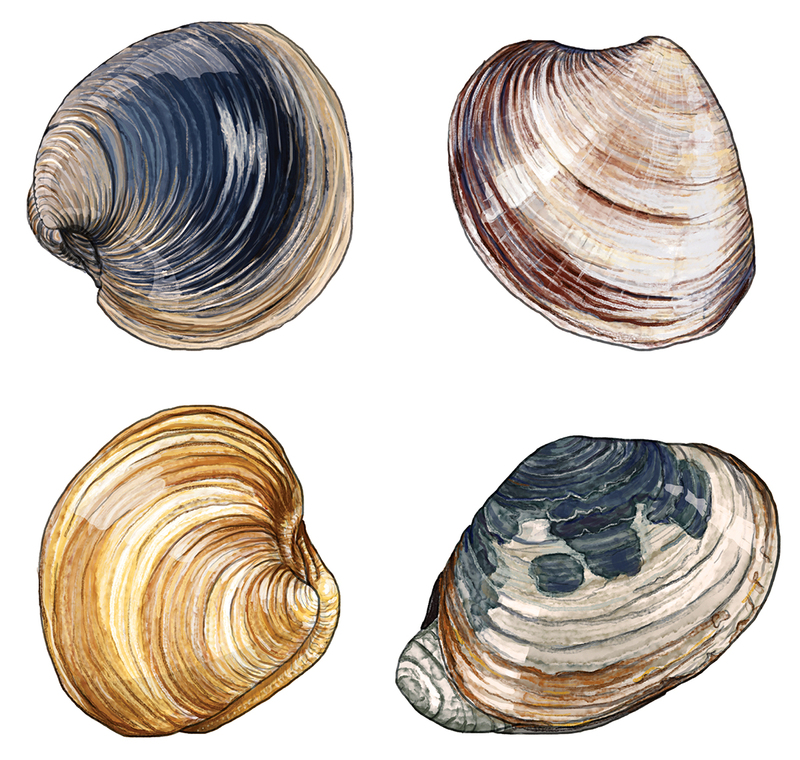 Soft-shell clams can be harvested only on Wednesdays and Saturdays in September, October, April, and May. Known the world over for its oysters, Wellfleet also holds its own when it comes to steamers. Try your luck at Herring River in the summer and Chipman’s Cove in the fall. Rules and regulations vary by town. 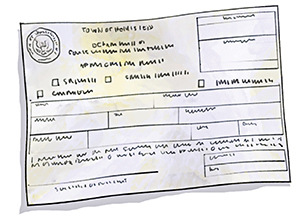 Check with city hall to find out how to get a permit, and make sure you have it on you whenever you’re digging. A sturdy extraction device is a must. 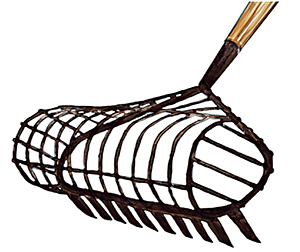 If you want a rake that’ll last multiple seasons, invest in local craftsmanship by buying a Cape Cod–made Ribb Rake. 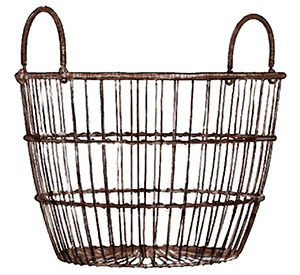 Called a peck, the classic wire basket is key to storing your haul. Visit a nearby bait and tackle shop to find one—and don’t forget to ask the staff for tips on where the locals are having success. There are strict size limits on what you can keep and what you need to throw back. 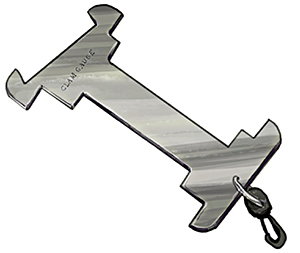 A good gauge allows you to quickly measure your catch. 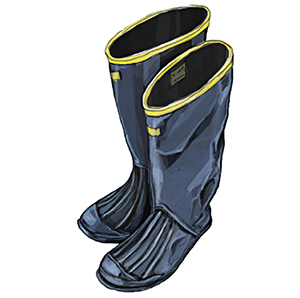 A pair of old running shoes or hiking boots will suffice, but it might be worth investing in wellies. They’ll keep your toes dry and make it look like you’re a regular. 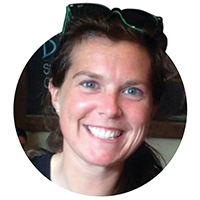 Barnstable’s shellfish technician gives us the dirt. When’s the best time of year to go clamming in Barnstable? August and September, after they’ve had time to grow. People sometimes forget that this is fishing. Shellfish don’t just hop into your basket. Half the fun should be digging and poking around. Is there a time of day that’s best? You want to work both sides of the tide. I’d get there about one hour before low tide. If I pull out a clam that’s too small, what should I do? Quahogs you can just throw back. Steamers need more help. Plant them just like you’d plant a seed—poke a hole in the ground and put it three-quarters of the way in.